The House of Qs: Who is Rick Bragg? I’m a big fan of Southern Living Magazine. Let’s be honest, I’m a fan of most everything the media power house publishes, designs, or distributes. 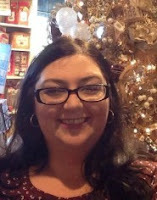 I have numerous cookbooks and Southern Living home products sold exclusively through Dillards. The SL plant collection is also one of my favorites. I’ve had incredible results with this collection and by following the advice of The Grumpy Gardner, SL’s in house green thumb, master gardener and all around smart aleck. The SL plant collection is carefully curated to include species that thrive in the southeastern US. Take a look at these tips for getting the best growth from hydrangeas. My flower garden is strictly for clipping. I love making fresh arrangements for our home. 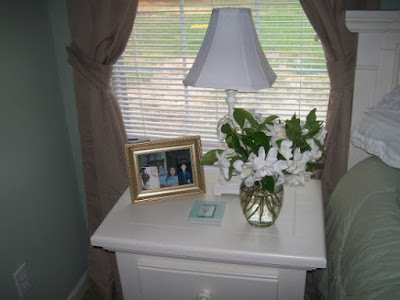 Here’s a few pictures of small arrangements I did for our house in Beaufort, SC. I always had great luck with flowers in that little yard. 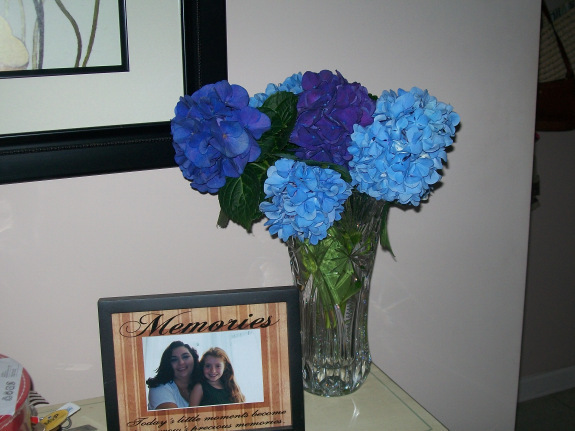 Gorgeous hydrangeas from my clipping garden in blue and purple. 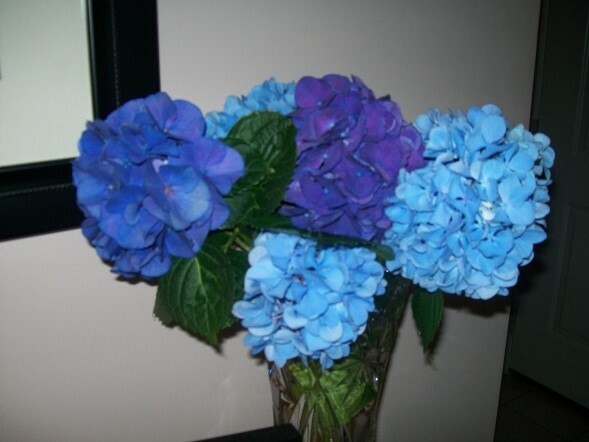 Hydrangeas are my favorite flower. I was so pleased with how vibrant they were. Fragrant Gardenias loosely arranged in a vase added that little something on our bedside table. Back to the topic at hand; Mr. Rick Bragg. Before Rick began writing articles for SL, he was a journalist and author in his own right. He has published six non-fiction novels and is now a professor with the University of Alabama (Roll Tide!). I have several of Rick’s books in my own personal library and my favorite is My Southern Journey: True Stories from the Heart of the South. Enjoy an excerpt from the book below. It suits me, here. My people tell their stories of vast red fields and bitter turnip greens and harsh white whiskey like they are rocking in some invisible chair, smooth and easy even in the terrible parts, because the past has already done its worst. The joys of this Southern life, we polish like old silver. We are good at stories. We hoard them, like an old woman in a room full of boxes, but now and then we pull out our best, and spread them out like dinner on the ground. We talk of the bad year the cotton didn’t open, and the day my cousin Wanda was Washed in the Blood. We cherish the past. We buff our beloved ancestors till they are smooth of sin, and give our scoundrels a hard shake, though sometimes we cannot remember exactly which is who. I wonder if, north of here, they might even run out of stories someday. It may seem silly, but it is cold up there, too cold to mosey, to piddle, to loafer, and summer only lasts a week and a half. The people spit the words out so fast when they talk, like they are trying to discard them somehow, banish them, rather than relish the sound and the story. We will not run out of them here. We talk like we are tasting something. I do it for a living, which is stealing, really. Li’l Abner, another not-too-bright Southern boy, had a job once, testing mattresses. I am always transported to another place when I Rick’s work and I follow him on social media to keep up-to-date on what he’s writing next or where he will be doing a book signing. If you haven’t read his work, do yourself a favor and start today. Start with his latest article from the February issue of Southern Living. He discusses, in detail the contents of his mother’s cookbook. 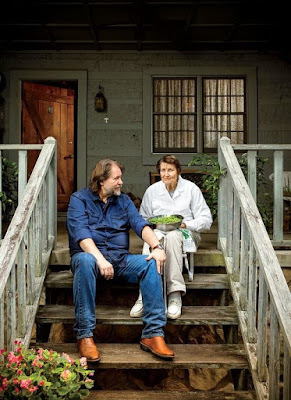 Rick Bragg and his mother, Margaret Bragg. Picture is property and courtesy of Terry Manier for Southern Living Magazine.